Dr. Jin Lee obtained her Medical Degree from Louisiana State University Medical Center and moved to Las Vegas in 1994 to do her residency program in family medicine. Following completion of her training, Dr. Lee worked for UMC and then for a private practice until the summer of 2006. She opened Renew Medical Spa in November of 2006. Opening Renew Medical Spa was the end result of Dr. Lee’s quest to improve her own skin conditions. After several series of procedures over a number of years to correct her own skin imperfections, Dr. Lee began searching for better ways to repair, to rejuvenate, and to protect and maintain skin health. Dr. Lee prides herself on keeping up with innovative technologies in laser cosmetic procedures and medical grade skincare. Dr. Lee is proud to offer services and procedures that have been successful for her skin care so she can help clients reveal their own radiant skin. From Botox™ to Juvederm™ and state-of-the-art laser procedures, Dr. Lee is proud to offer you the finest in skin care in Las Vegas. Passionate about bringing innovative products to her patients, Dr. Jin Lee was first to join Tiffany Andersen in the creation of Gavée Gold Collection after in-depth research into the organic extraction process that purifies 24K liquid gold over time. Dr. Lee understands the cutting-edge process made popular in Western medicine in Europe but remains far less visible in the mainstream US market today. Her research on the use of these purified elements helped fuel the mission to secure exclusivity of the proprietary blend used worldwide in all the Gavée Gold formulas. Tiffany has over twenty years of aesthetic experience and holds California and national aesthetic licenses. 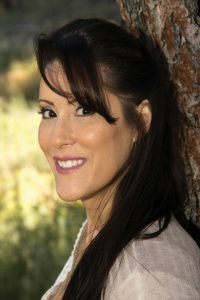 She earned her post-graduate certification through the American Institute of Esthetics (AIE) in Orange County, CA specializing in skin analysis, advanced chemical peeling, advanced anti-aging techniques, advanced acne treatments, and rejuvenation therapy. Tiffany is also a graduate of the highly acclaimed Rayner Institute, a board-certified education provider training facility. She completed the rigorous examination and course curriculum with top percentile scores. As a graduate of the Rayner Institute, Tiffany holds the distinction of certified aesthetic clinician. She is a certified technician for FotoFacial and IPL treatments and the former owner and operator of Château la Beauté day spa in California. 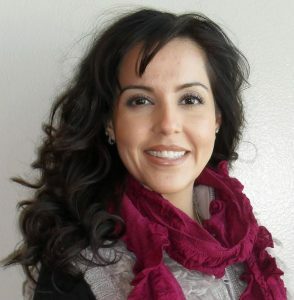 Maggie Morales is a licensed medical aesthetician who has more than sixteen years of result-driven, detail-oriented experience in medical aesthetics. Maggie is a lifelong Las Vegas resident who understands the concerns and skin care needs of its residents. She entered the medical field after high school when she began working for a dermatologist, and that’s where her passion for skin and its care began. She expanded her knowledge by working for different dermatologists across the US, and her interest in skincare grew with her experience. With a true passion for helping people with their skin care needs, she continues to enhance her aesthetic knowledge by networking with colleagues and attending conferences and seminars. Knowing what’s new in the aesthetic industry is very important to Maggie because she likes to offer the best treatments to her clients. She combines her experience with product and procedure knowledge to provide her clients with the results they desire. Permanent makeup goes by many names: permanent cosmetics, micropigmentation, intradermal makeup, and cosmetic tattooing, just to name a few. Whatever name you prefer the process is the same. Permanent makeup is the art of implanting specially formulated pigment into the dermal layer of the skin. Because this is a highly specialized procedure, it is important to go to an artist with the proper credentials and skills. Vickie Sanders holds those credentials and has over 18 years experience in the permanent cosmetic makeup industry. Vickie has become an institution known for setting the highest standards of quality and safety. She uses only disposable products and top of the line limited ingredient pigments. Vickie is dedicated not only to the satisfaction and the welfare of her clients but also to exceeding all Health Department requirements. 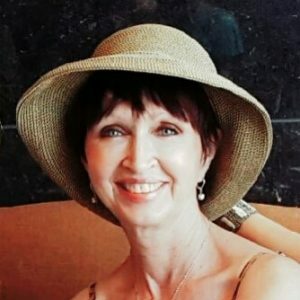 With 18 years of success in skin care and color technique design, Vickie combines years of acquired training and knowledge from working with the top cosmetic companies in the world. Vickie’s standard philosophy “You’re only as good as your last client” is a self preserving way to keep the integrity of her staff on a day to day and person to person basis. She trains artists and/or technicians to not only meet but surpass her standards of quality, bringing out their own artistic abilities. Vickie is always seeking the latest advances in technology and developed the popular “smudged look” technique for permanent eyeliner. 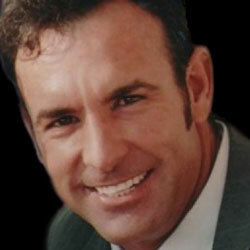 Anthony “Tony” Andersen has over twenty-four years of professional experience in the health and wellness industry. He has received a bachelor of science in Health Business Administration and a PhD of Holistic Health and Wellness with an emphasis on Naturopathic Science Nutrition. Tony is certified with the National Academy of Sports Medicine as a personal trainer, corrective exercise specialist, and performance enhancement specialist. Tony is a certified clinical nutrition response practitioner through the most prestigious of all Nutrition Response Testing® clinics, Ulan Nutritional Systems and a certified BioMeridian and Nano SRT technician. Tony has earned his degrees from Cabrillo College, Chico State University, University of Bridgeport, and Kingdom College of Natural Health.